Call Owner Ken Nagele Today for the Answers to Your Copier, Fax or Printer Questions. We'll Help You Fix Your Machine Over the Phone for FREE! 714-532-COPY or 714-532-2679. 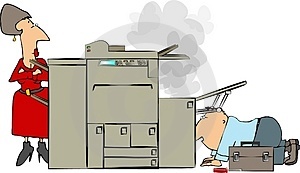 Printer & Fax Service Charge - $99 / Hour, Plus Parts - No Trip or Mileage Charge - $125 Flat Rate Copier Service Charge (no matter how long it takes), Plus Parts - Free Copier & Fax Repair Estimates! Low Priced Service Agreements Include All Supplies. Pay by Credit Card Through PayPal. Visit Our Modern Showroom in Fullerton for a Free Demonstration. How long has the COPY TECH COMPANY been in business? Since 1985. Many of our original customers are still with us. Most new customers find us through the referrals of existing, satisfied customers. How fast is your service response? We maintain the industry-wide response of 4 business hours, and usually quicker than that. If you call by noon, we will be there that day. We cover all of Orange County with the best repair service available and specialize in BROTHER and RICOH copiers, multifunction machines, printers (including HP printers) and fax machines. How much do you charge for service? There is no charge to come out and look at your machine, though quite often we can diagnose your issue over the phone. Fax and printer labor is $99.00 per hour. The going rate for labor from our competition is often well over $150 per hour. What brands do you service? What makes the COPY TECH COMPANY different than the rest of the OC dealers? Personal Service - The owner is always accessible and ready to answer your questions - 24/7. No bureaucracy here. Value - Our machine pricing for the BOTHER's is the lowest on the Internet. In fact, we don't care where you buy the machine from. We give you the direct links to the major online machine sources - will come out and set it up for free and bring you our discounted toner. Who owns the COPY TECH COMPANY? Ken Nagele has owned the COPY TECH COMPANY since 1985. 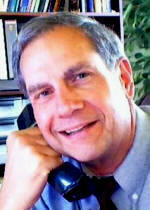 Ken has been involved in the copier business at the dealer, corporate and educational levels since 1969. A former Instructor of Copier Repair for the Regional Occupational Program, his attention to detail and honesty is legendary in the copier industry. 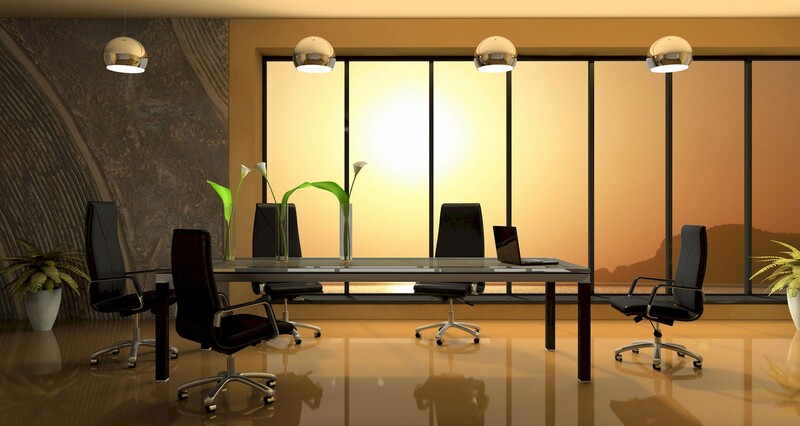 His goal is to keep your office running smoothly and keep you satisfied as a customer. References are available. Is there anyone who doesn't have an HP printer story to tell? "I had an HP printer for ten years and it never broke down," is the typical story. And to their credit, these stories are often true. HP's of old typically did seem to last forever. But that was then ... and this is now. Long gone are the days of quality, well built printers (or copiers) that will last ten years � made by anyone. So why does everyone still think "HP" when they want to buy a printer? Because of their past. Memories die hard. But HP's sales are starting to show that customers are waking up. Some of low-end HP's printers have been so poor that there have been class action lawsuits against them. Our experience with even the "middle class" printers reveals that customers will experience several pickup tire replacements and at least one fuser unit replacement (sometimes requiring associated gears to be replaced, too) during the life of the machine. The total cost to perform these repairs (or, to purchase a Service Agreement over the years that would cover these repairs) will equal or exceed the initial cost of the machine itself. Are the BROTHER's any better? BROTHER, once considered the "cheap replacement", has made incredible advances in quality and performance over the last ten years. How often do pickup tires and fusers have to be replaced on them? Our experience has been that these parts have rarely needed to be replaced during the projected lifetime of the machine (around 100,000 prints.) Does this mean that the customer should replace the BROTHER printer rather than repair it, at that 100,000 point? Plus, all BROTHER's come with a one year warranty. By replacing the machines every 100,000 prints, one is always able to take advantage of the latest technology of increased speed and constantly improving quality. Also, note that the BROTHER network cards never fail, as they frequently do in the HP's. And, they never have serious software glitches like the HP's do. the Sale Price of Your Machine. FMV � (Fair Market Value) The least expensive rate for returning the machine at the end. $1.00 � You own the machine at the end for only $1.00. We will try and fix your machine over the phone for FREE. The fact is, half of all service calls are supply issues, operator error, or simply require an easy customer fix. We provide an immediate, FREE loaner (if we cannot resolve your issue immediately). We respond within four business hours � and usually much less than that. craigslist Copiers - The Real Truth! The people selling them are not local copier dealers with a reputation to uphold. Many don't even employ one full time technician. They have very limited knowledge of the machines and their parts availability is scarce. The copier information they display on their ads is all copied from other sites. Most are not refurbished at all, or if they claim to be, the level of refurbishing is not what is performed by the reputable dealers. Usually, they are simply cleaned up and tweaked to make an acceptable copy. None of them are checked for firmware updates or service bulletin updates, which are necessary for future trouble-free performance. Most of the machines are usually outdated (though they may look very current). This means they are over four years old. After four years, these machines basically have no value. Manufacturers also stop providing any meaningful tech support for these highly sophisticated (and complicated) digital copiers. The average person has absolutely no way to verify how old any of this equipment really is. The meters (copy count) are usually suspect. There are very few machines over four years old that have acceptable "low mileage". Respectable dealers will not refurbish high copy count machines. Most purchasers of these machines are doing relatively low volume - and really don't need a big piece of equipment. These sellers will never tell you that you can buy brand new BROTHER multifunction equipment for a fraction of what they are selling their used and outdated equipment for - and that the new BROTHERS come with a one year warranty. For those who are skeptical of the BROTHER's performance, COPY TECH COMPANY will even let you use it for a week to make sure you are happy. COPY TECH COMPANY offers a wide range of recently returned and refurbished lease equipment. They are gone through extensively with all supply and high wear items replaced and all firmware updates performed. And, they are basically priced at half of our discounted new machine prices. See our recent copier inventory on our home page.